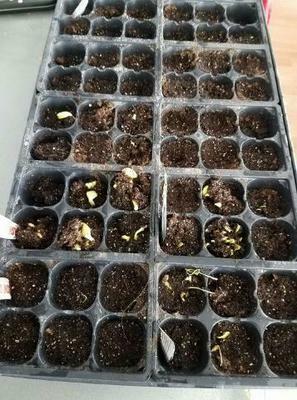 The seeds had just begun to sprout, took my lid off my starter kit this am, and now they are a pale yellow and laying over. What happened what can I do? I agree with Ellen. But if your soil was suspect, such as containing herbicide residue, then it would cause problems, although not likely to hurt your seedlings until their roots were bigger... but it could be that, so do check your soil and test with some other seeds if possible. 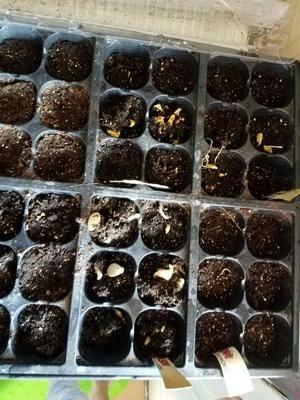 If you have any signs of fuzzy mold on your seedlings where they meet the soil, that is grey mold or botrytis, which is deadly and spreads fast. This is caused by damp air and caused by bad circulation, so always keep checking. Good luck next batch!